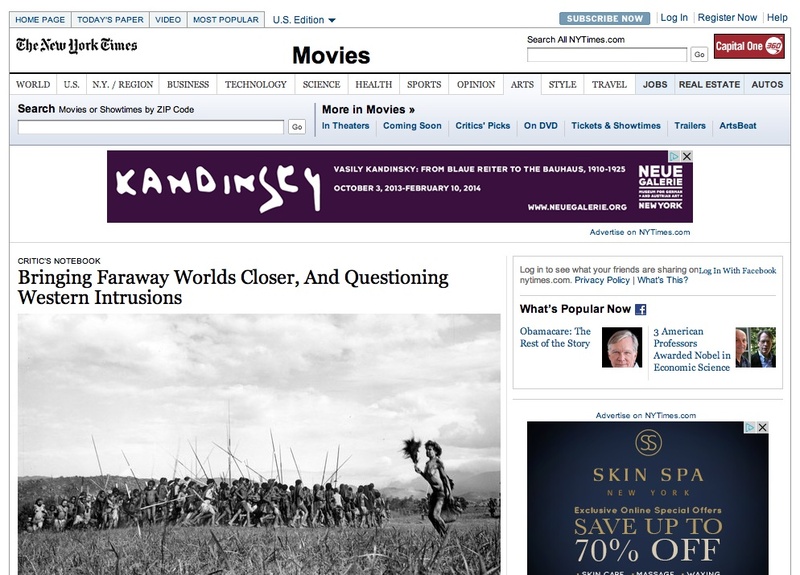 “Bringing Faraway Worlds Closer, And Questioning Western Intrusions” by MANOHLA DARGIS in the NY Times Critic’s Notebook. “In an interview about ‘Rivers of Sand,’ Mr. Gardner said that while he was editing it, ‘I kept being reminded that I especially disliked Hamer men, and I don’t think I would have felt differently had there been no women’s movement.’ In other words, his humanity, not politics, made the women’s situation clear. It was, he added, ‘a painful life for both sexes’ and so the question became, Why not just say as much in the film? Because he made a choice: rather than employ a false objectivity, he embraced what he calls larger truths.